A pair of newlyweds say they spent their £2,000 honeymoon on the LOO – after a horror sickness outbreak at their luxury holiday resort. Michelle and Dave Smith, from Holywell, Flintshire, claim holidaymakers were ‘dropping like flies’ at Hotel Rui Touareg, Cape Verde, while on their week long vacation. And after just 48 hours, Michelle says she was struck down with the worst sickness bug she’d ever experienced. She claims to have spent the remainder of her holiday on the toilet as crippling stomach cramps, sickness and diarrhoea swept across the hotel. Michelle and Dave’s honeymoon was ruined and on the day they were due to fly home, Dave then fell ill as well. It took Michelle four weeks to recover from her sickness bug at home and the couple are now claiming compensation through Hudgell Solicitors from travel group Tui. They’ve claimed Tui were slow to respond to the outbreak which also affected other hotels nearby, and that no after support was offered when they returned home. Michelle, 48, said: “The sickness bug was the talk of the entire hotel, people were dropping like flies. “It took just one day before I fell ill and it wiped me out for the entire week, the stomach cramps were so severe it felt like I was giving birth. “The hotel didn’t mention a thing about the outbreak that had started a few weeks before we arrived, we were walking into a real life nightmare. 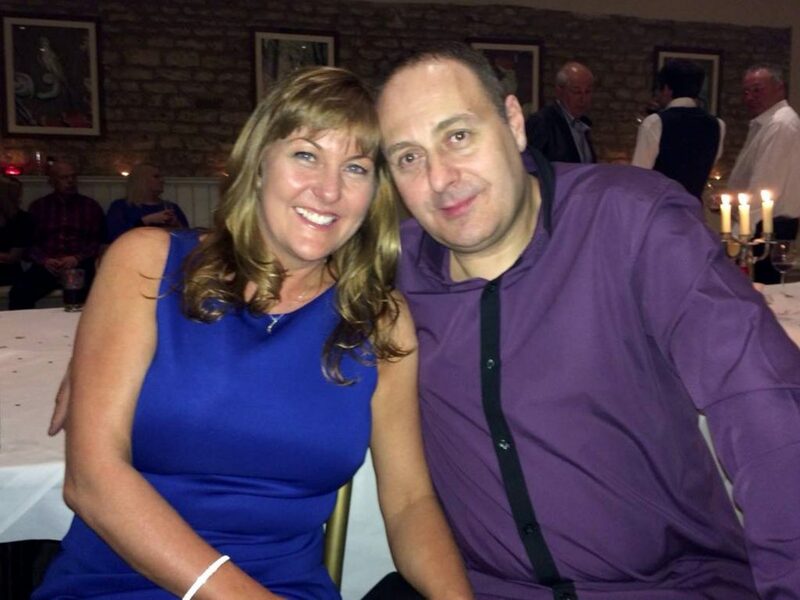 “We’d spent £2,000 on our dream honeymoon but it was completely ruined. “The sickness outbreak first started before we arrived on September 25, we had no idea what was about to unfold. “There were flies everywhere, it was like there was an infestation. “There was uncovered food left out for long periods and chefs not using gloves when handling food. “Tui were slow to act upon the outbreak and only introducing new measures such as insisting people used hand gels, and carrying out deep cleans, after the illness has reached ‘epidemic’ stages. “I spent the entire week on the toilet, and on the last day, October 2, Dave fell ill as well. 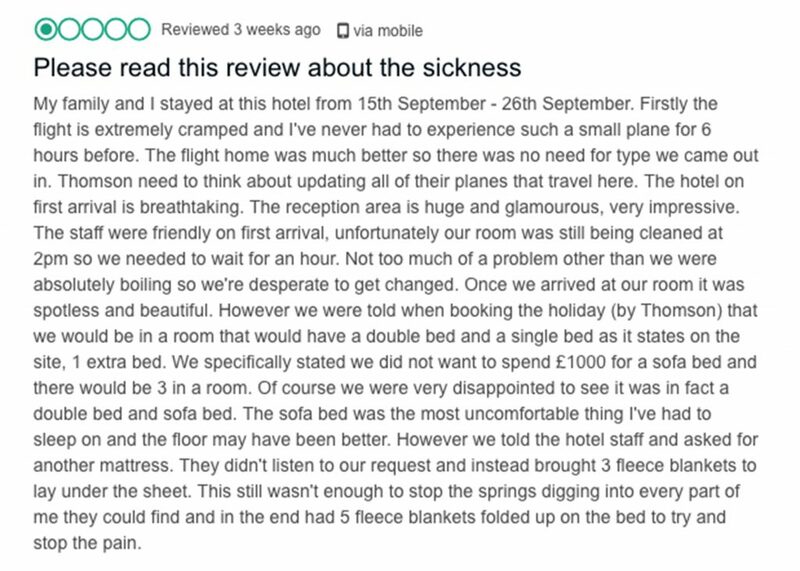 “Our plane journey home was horrendous, the toilet was constantly in use and the front toilet was blocked up completely. Paul McClorry, a specialist in handling claims relating to holiday illness at Hudgell Solicitors, says the firm has taken more than a dozen enquiries from guests who say they were taken ill at the Clubhotel Rui Karamboa,Hotel Touareg, and the Sol Dunas Beach Resort, in Cape Verde, with the majority having travelled with tour operator Thomson, now known as Tui. He said: “What cannot be disputed in this case is the fact that there have clearly been a great number of people taken seriously ill at these hotels. They have suffered from violent sickness and many have remained ill for some time after returning home. Michelle, who is a hypnotherapist, said: “It was certainly no honeymoon and was a complete disaster, a nightmare. “We’d chosen this hotel for our honeymoon as we’d stayed there four years ago and it was the perfect holiday, ideal for a couple as it is so quiet, unspoilt beaches and we also took the option of paying more for an adult only break. “Two days into the holiday though it was over for me, after the cramps, the sickness and diarrhoea started and that was constant. “I told Dave not to be in the bedroom because I didn’t want him catching it, but also for some privacy given the state I was in. 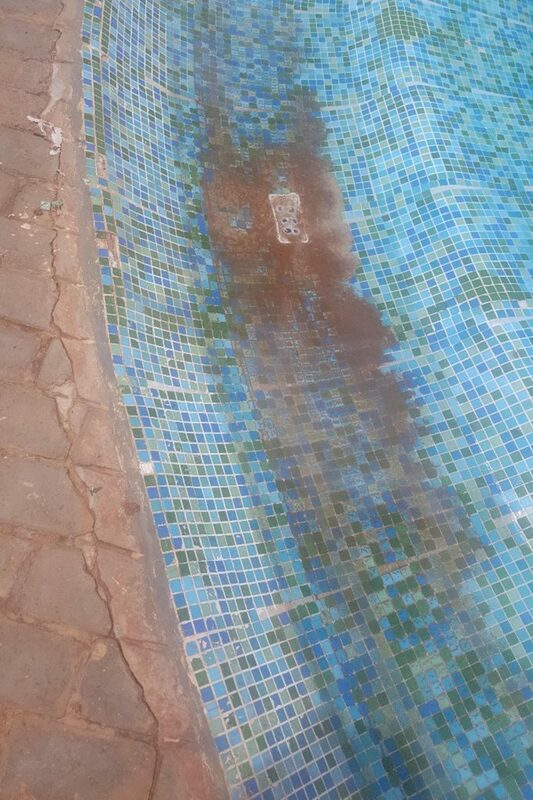 A spokesperson on behalf of Tui, the travel operator, said: “We are sorry to hear of Mr and Mrs Smith’s experience. 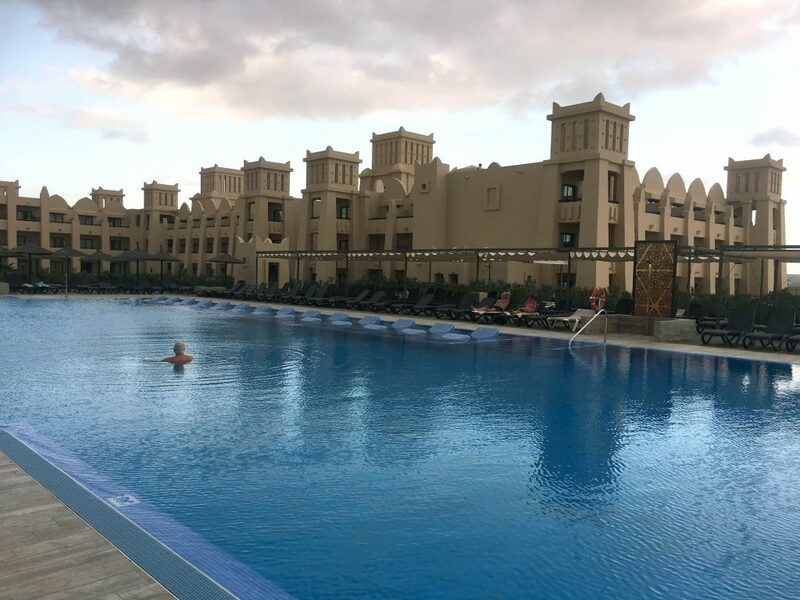 “At the time of the customers’ holiday at the RIU Touareg, we were made aware of some cases of sickness with symptoms similar to the common condition Gastroenteritis. 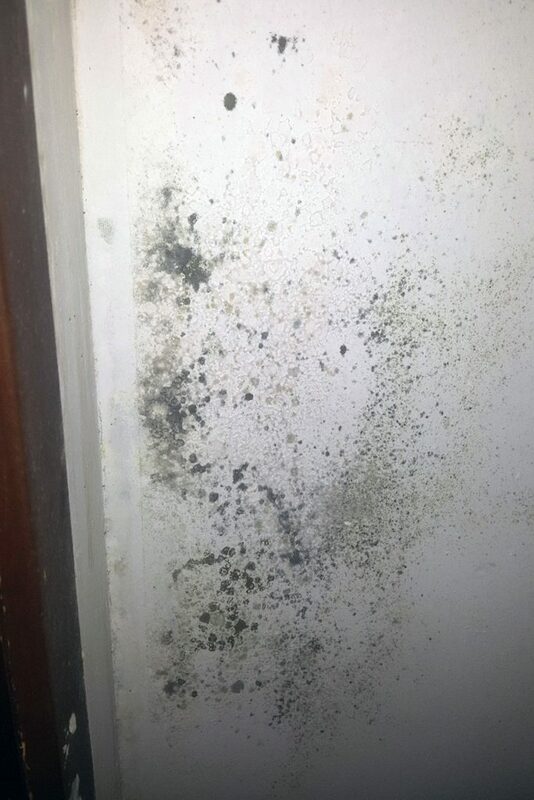 “As soon as we were notified we immediately worked with our hotel partner to implement superior procedures to prevent the spread of infection and we can confirm that we haven’t received any further reported cases. “We understand that Mr and Mrs Smith have contacted their solicitors and we are currently waiting to hear from them to investigate the matter further. ‘I won’t die’ Single mum rejects chemo and vows to beat terminal cancer with vegan juicing and positive thinking!